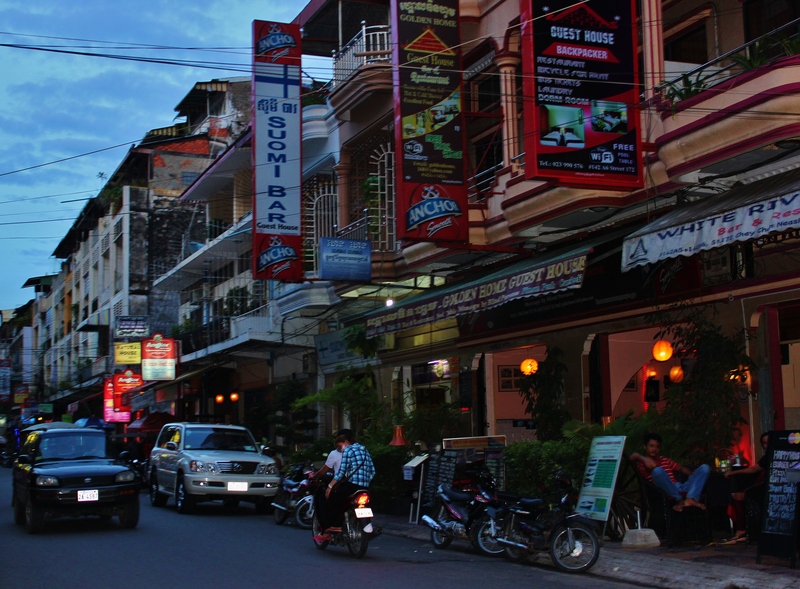 The capital city of Cambodia, Phnom Penh is a captivating assault on the senses. Riding along the streets by Tuk Tuk, you instantly become immersed in this crazy harmony of unified chaos. All of the scooters, motorbikes, and the odd car intertwine with what appears to be no actual road rules at all. This combined with the exotic smells from traditional street food mixed with a sometimes over powering smell of burning rubbish can be a confusing mish mash of aromas. This mayhem can be confronting when you first step off the plane, but I felt at ease instantly and loved every moment of it. Let me just state that the food in Cambodia is amazing! Traditional Khmer dishes like Lok Lak and Amok are to die for and became a regular favourite of mine. Not to mention every day I would have at least one fresh coconut and usually a fruit shake. 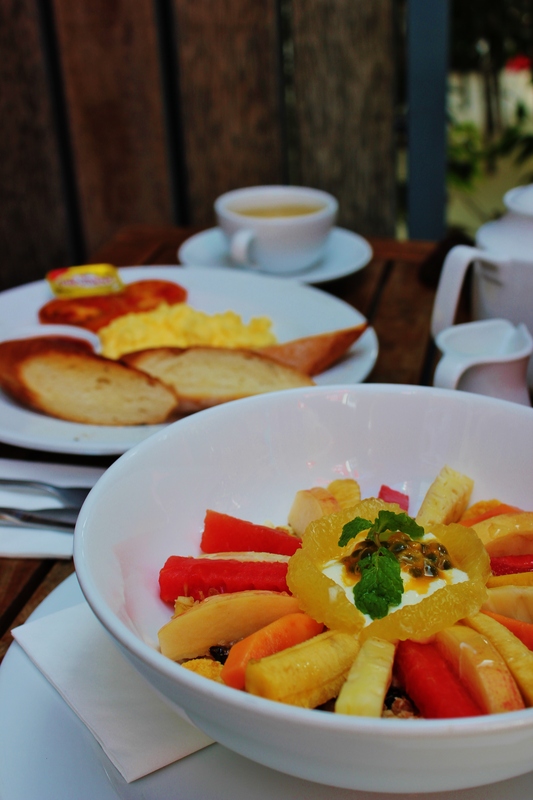 The fresh tropical fruits are everywhere and are a divine refreshing taste to have on a hot humid day, which is everyday. Apart from eating, there are a number of great things to do and places to see when you’re in Phnom Penh. The Killing Fields is a must if you really want to understand the true horror of what the Khmer people had to suffer from the Khmer Rouge. It was an educational yet incredibly overwhelming experience but I believe it’s important for everyone to understand the past in order to help grow a bright future. 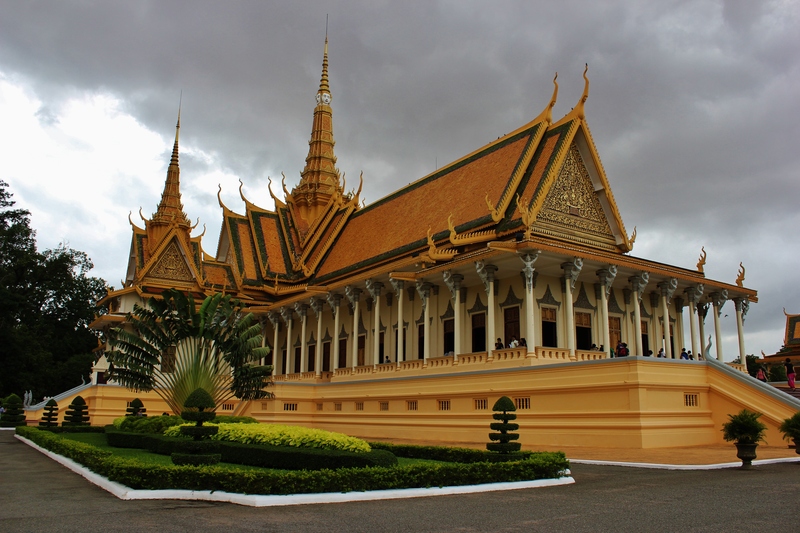 The Royal Palace is a stunning complex of incredibly beautiful buildings that were built for the King of Cambodia in the 1860’s and are a must see for all travelers stopping by. Not to mention the Russian Markets and the Central Market which both boast a fun shopping experience that gives you a chance to practice your haggling skills. You can buy anything from fabulous silk scarfs to deep friend cricket in these markets and you’ll be sure to pick up some good gifts to send home! Just make sure you keep a close hold of your handbags or valuables as you wander around. No matter what type of experience you’re looking for in Phnom Penh you’ll be able to find it. There is a pumping night life, amazing restaurants and bars, beautiful retreats for yoga or just a relaxing trip to a day spa and all of the sights and attractions in between. I found that just wandering around with a good book and just absorbing my environment was equally as enthralling because there is so much happening around you. I will cover more of my travels in Cambodia soon but if there is one thing i really want to discuss with you all, it is my love for the Cambodian people. From the moment I arrived in the airport line cued up with all the other Khmer people waiting to board our flight to the day I left that wonderful country I will say that I’ve never met friendlier, heart warming people as I did in Cambodia. Every day I was greeted with genuine smiles from strangers walking past me on the streets. Gorgeous little children would always wave or give you a cheeky smile as you drive by in a Tuk Tuk. Cambodia has well and truly left its mark on my heart (sorry to be cheesy but it’s true). I will definitely be back one day soon. Has anyone else been to Cambodia and discovered a mutual love for the country? **All images are my own. ‹ PreviousLife Hacks: One simple trick to improve your life.